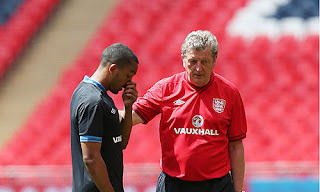 England has a lot to be thankful for as Roy Hodgson announced yesterday evening that Theo Walcott is fit and ready to take his place in the squad as England prepare to face co-host Ukraine in their third and decisive group game of Euro 2012. Walcott had hobbled out of training on Sunday morning with a tightness in his hamstring and the medical team had instantly gone to work to ensure the fitness of the undisputed game changer in the 3-2 win over Sweden. "He is fit for the game and luckily we don't have any other injury concerns," the usually solemn Mr. Hodgson told newsmen with a hint of a smile at his pre-match news conference. England has to avoid defeat in the game against Ukraine if they are to advance to the quarter finals.